Cupping: Is It Fluff or Functional? During the Beijing Olympics in 2008 and again at London in 2012, Kinesio Taping emerged as the popular modality seen plastered all over athletes and talked about by the media as the new hot treatment for musculoskeletal aches and pains. Though it is still used, the hype behind it is slowly dwindling down as increasing evidence shows that when used for a range of musculoskeletal conditions, Kinesio Taping had no benefit over sham taping/placebo (Parreira et al., 2014). In Rio, the new modality-de-jour is cupping. However, cupping is not new. In fact, the earliest record describing cupping as the removal of “foreign matter” from the body was found in the Egyptian Ebers Papyrus in 1550 B.C.E. (Nickel, 2005). Cupping has had a resurgence in recent years after the deep purple rings were seen all over the back of Gwyneth Paltrow in 2013. This week, the mysterious marks seen on the likes of US swimmer Michael Phelps and gymnast Alex Naddour have people claiming that cupping is the holy grail for fixing musculoskeletal aches and pains. It is a fancy hicky. Really. You are paying someone to hicky your skin. According to Ralph Reiff, who was quoted in the USA today article that came out on August 8th (Article here) cupping creates a vacuum, lifting the skin up and suctioning the soft tissue, creating an infusion of fluid in that one area. It appears the ultimate goal is to increase blood flow to that area. It can actually break capillaries near the surfaces of the skin, which is why you see those distinguished purple rings. 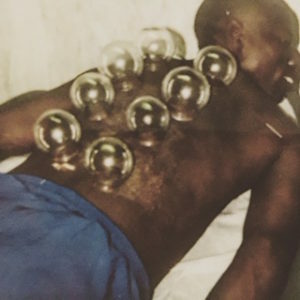 Furthermore, Reiff states that cupping “gets rid of what we call subtle tissue lesions within certain areas of the body.” The claim is that this creates a faster recovery and better muscle movement. But creating bleeding in the tissue is seldom a good idea, especially when you want to speed up recovery. Increasing blood flow is good, but you want the blood to stay in the capillaries, not in the soft tissue, where it cannot do any good. I personally think that there is more value in a good old fashioned soft-tissue massage to help flush out muscles and speed up muscle recovery. But that doesn’t leave unmistakable fancy marks all over your body. Furthermore, how do you detect those admittedly “subtle tissue lesions” in the first place? One of the challenges with treating athletes is that everyone is looking for the quick fix. People would much rather pay money to be rubbed, poked, shocked, needled, cupped and taped instead of working on faulty biomechanics and strength deficiencies. 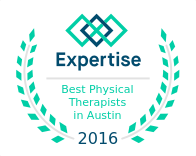 I am not saying that these modalities do not have a place in treatment but they are not the fix. They should only be used to compliment treatment and can be used as part of the treatment, but should not be the treatment. If it is the only thing you are using, then you are treating the symptom and not the cause of the symptom. For the elite level athlete, such as Michael Phelps, that are looking for that extra 0.0001% at the Olympics, cupping might just provide that for them. However, it is likely not worth the investment for the average Joe. In my opinion, spending time treating the root cause of the issue would be a better use of time and money and supply longer-term health benefits.